The author and stroke researcher, Peter Levine, writes that Stronger After Stroke is for people who want to get better. It is also for people who want to learn. Perhaps that is why Stronger After Stroke is such an interesting book to read. For example, a typical brain contains approximately 100 billion neurons and a stroke kills approximately 2 billion neurons. The book is also written in a way that aids learning. Most sections are organized in the same way for good retention with a presentation of concept, an explanation of how the concept is carried out, and a precaution. Stronger After Stroke covers repetition of task-specific movements, proper scheduling of practice, challenges at each stage of recovery to avoid plateaus, and goal setting with recognition of achievement when it has been reached. 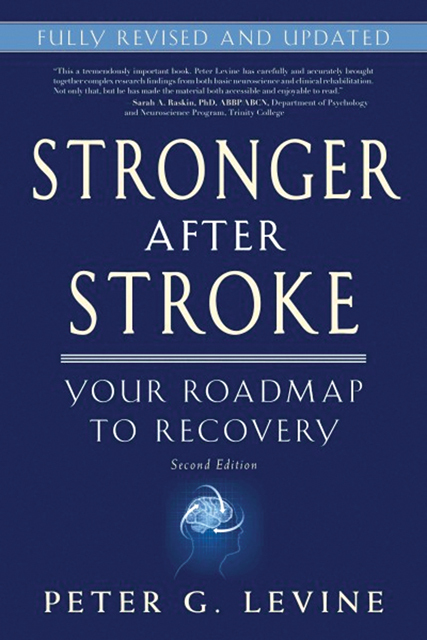 Stronger After Stroke is a positive book, which helps readers determine their highest goals for recovery after a stroke. Caregivers will also find this book helpful.